Guido and Gulnura contacted me for an engagement session with a bit of a twist. The two met overseas at a US embassy, fell in love, and became engaged. They were both in town for now but were going to be separated into different countries for work and needed their session, retouching, and prints delivered within a few days! Never one to step down from a challenge, I accepted, we made plans, and we made these beautiful images. I pride myself on quick turnaround and a great product. We shot on a Friday and the prints (which they loved) were ready by Tuesday! Click on the thumbnails for big! Our photos were taken at Bon Air Park in Arlington, Virginia.  It is a wonderful location in Northern Virginia and is perfect for engagement photoshoots. Photos were taken at golden hour with a Canon 5DIII and a Canon 70-200 f/2.8L II lens.